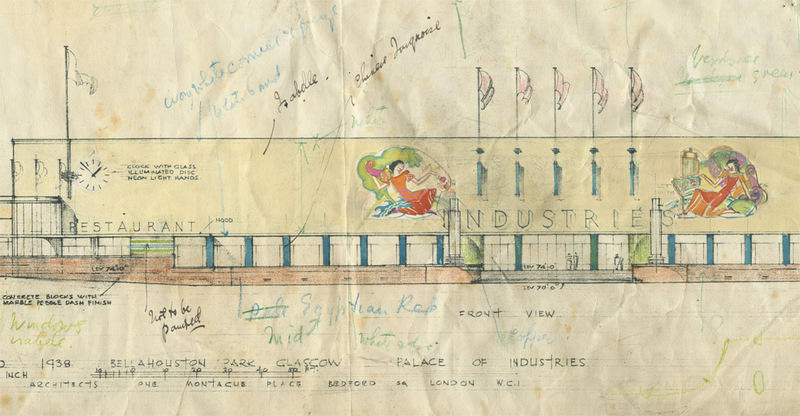 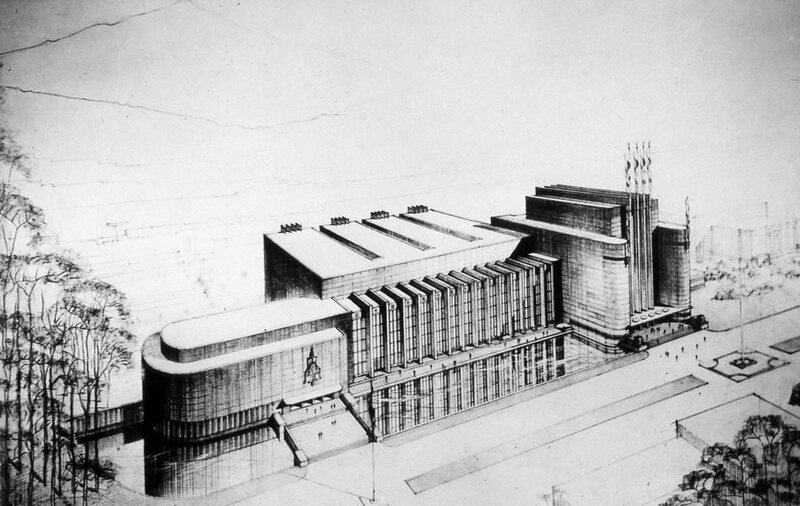 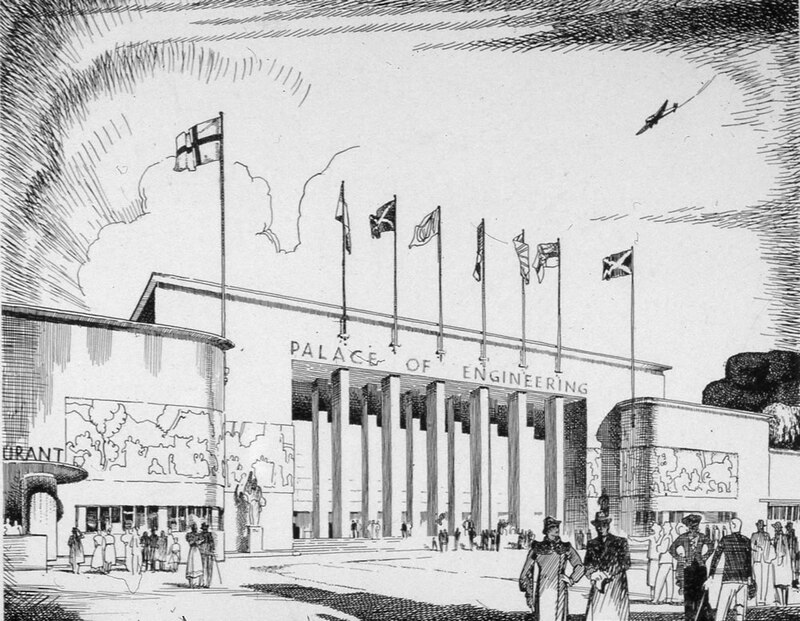 While virtually nothing remains of the many sketches, drawings and plans that must have been made during the planning and construction of the Exhibition, the following sketches made by Sir John Burnet Tail and Lorne, and possibly amended by Tait himself, show sketches of the Palace of Industries with numerous notes detailing finishes and colour schemes. 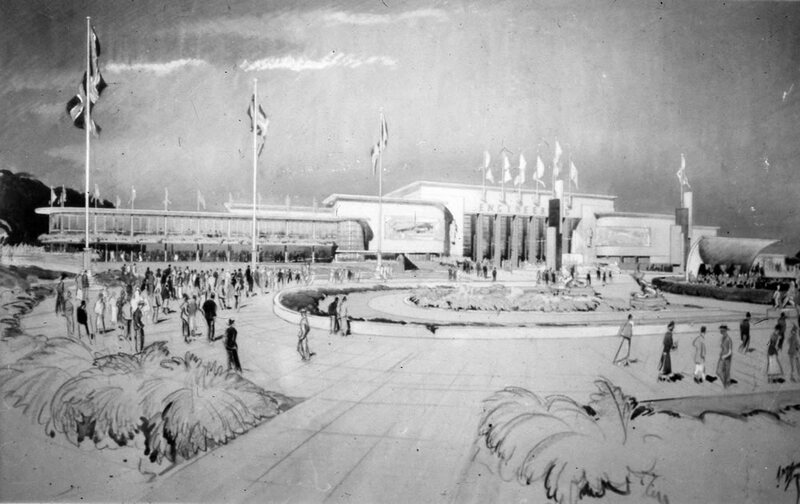 These drawings were made in February/April 1937. 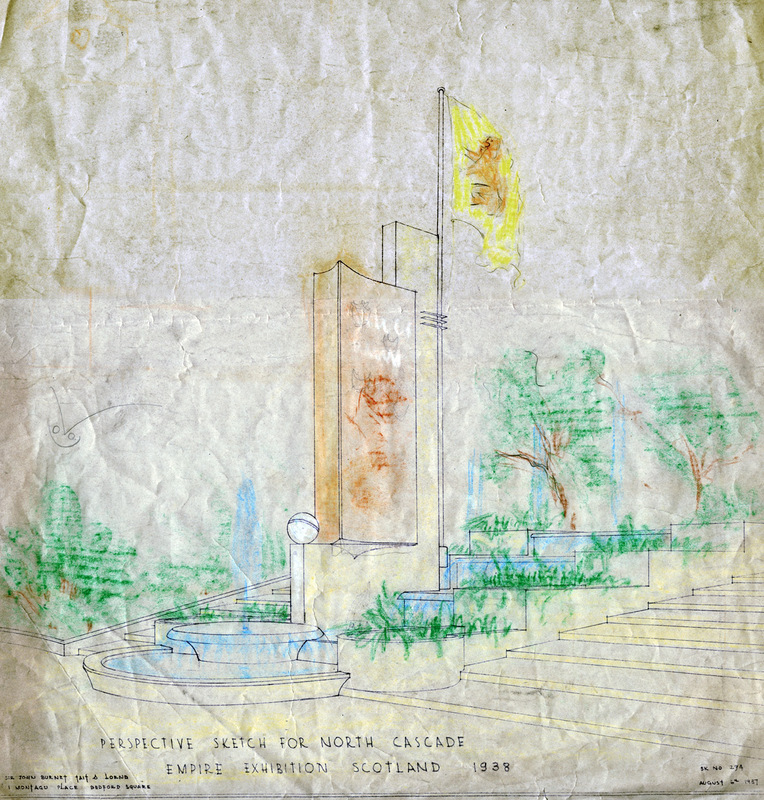 The colour drawings are shown by courtesy of the Glasgow Archives at The Mitchell Library, Glasgow. 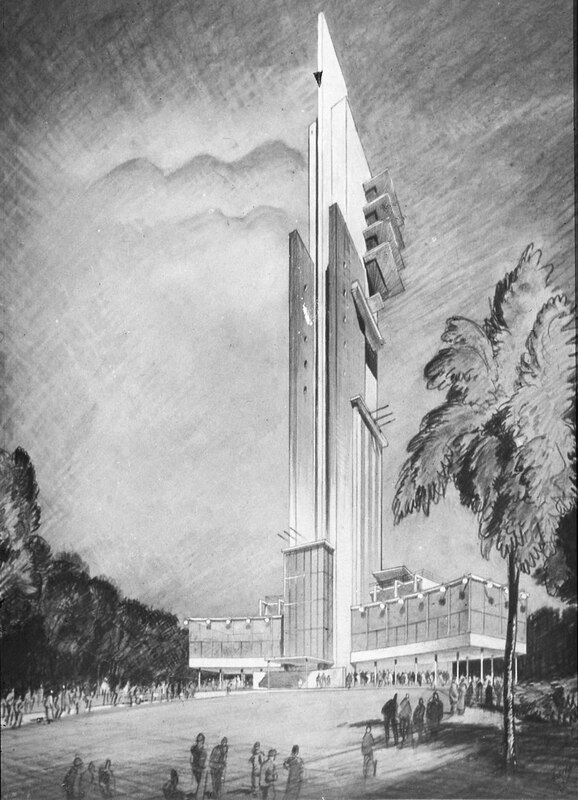 The black and white images are impressions of various buildings published in Architectural Review in 1937.